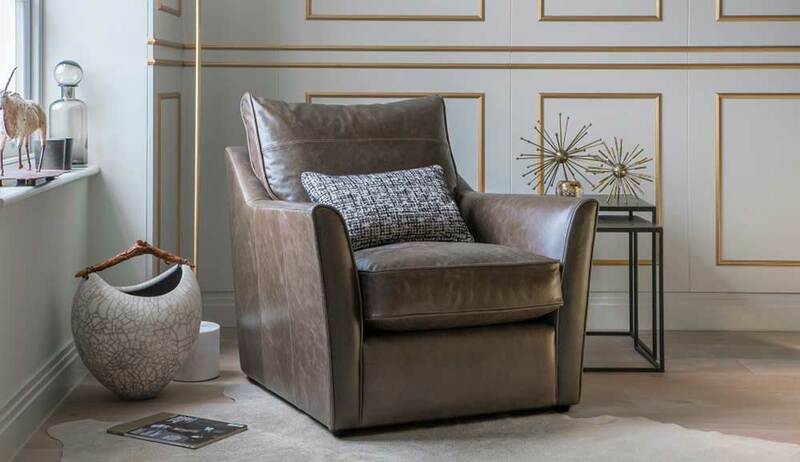 We are delighted to be official stockists of the BRITISH MADE Collins & Hayes range of sofas and chairs. If you visit our showroom in Keswick you will discover a full range of Collins & Hayes designs. The Collins & Hayes range is distinguished by effortlessly elegant, smart, yet casual styling. You can choose from a range of fabrics with hand-stitched detail. The sturdiest of frames is completed with solid oak feet. You are unlikely to see such a large range of Collins & Hayes anywhere else in the North West. Quality in the making. Time-honoured tools and techniques ensure every piece embodies the passion of Collins & Hayes highly skilled tailors. They are as passionate about quality as we are. They use fabrics from family-run artisan mills across the UK, Italy and Belgium. Fabrics and leather. 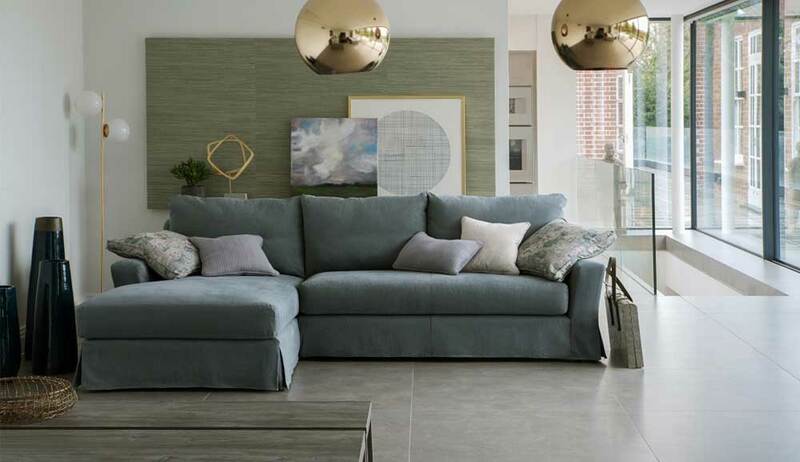 The luxurious collection of natural fibre fabrics and leathers are curated by the Collins & Hayes designers and technologists combining elegant colour pallets with subtle texture. Pure cottons, fine linens, rich wools, sumptuous velvets are included in the extensive range library of materials. 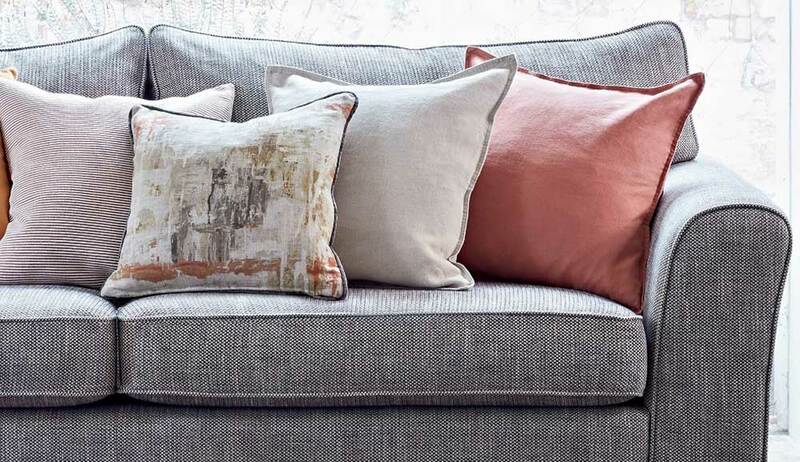 Harmonious pallets of soft hues and contrasting or complimentary piping of your chose. Guarantee of quality. We’ve great confidence in the quality and comfort of these pieces – and Collins & Hayes offer a lifetime promise on every frame. Largest range on display. 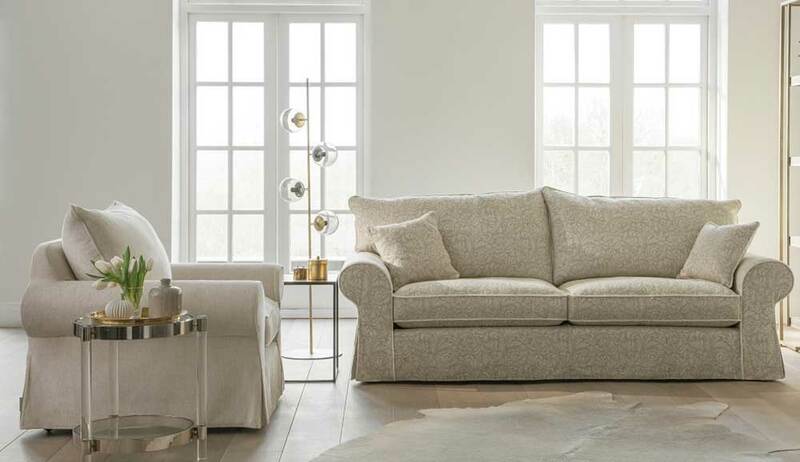 We have the largest range of Collins & Hayes in the North West – so come and see us and try the sofas and chairs for size, style and comfort.